Like the TSA, a new wave of bureaucrats will abuse their power – this time by stealing your identities. Similar to how the Transportation Security Administration attracts pedophiles with jobs providing easy access to children, Obamacare will attract identity thieves with jobs allowing them to go door-to-door to preach the “virtues” of Obamacare while extracting private information from Americans in their own homes. 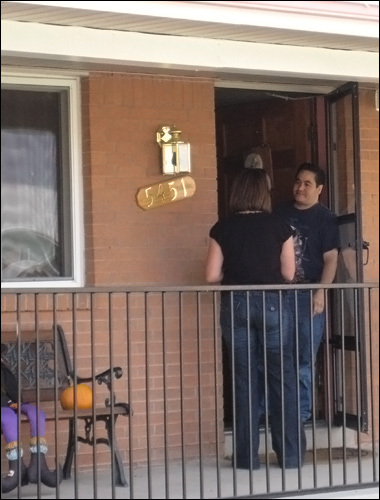 What door-to-door Obamacare recruitment could look like. Under Obamacare, the Department of Health and Human Services (HHS) is implementing a “Navigator” program, which provides millions of dollars to non-profit groups nationwide to hire “Navigators” who will advise Americans on their Obamacare health “options” based on the sensitive information provided. This sensitive information includes social security numbers, income levels, employment history and home addresses, all of which are more than enough to steal Americans’ identities for complete access to their credit and financial resources. The letter further emphasized that government officials had “confidence” Navigators would not go door-to-door to enroll Americans in Obamacare. This confidence appears unfounded considering that identity thieves will likely be lured to the Navigator jobs, which allow easy access to sensitive information, pay an estimated $20 to $48 an hour and do not even require a background check. Although Section 1411 of Obamacare sets a fine of up to $25,000 for the improper use or disclosure of private information, identity thieves employed as Navigators will unlikely be caught considering that the identity theft conviction rate is only 1 in 1,000. In August, Florida Attorney General Pam Bondi expressed similar fears about the Navigator program. Bondi also indicated that even those with prior identity theft convictions can still become navigators. In line with her fears, the Florida Dept. of Health has banned navigators from soliciting around county health departments. Following that lead, Americans may need to hang up “No Obamacare Solicitation” signs on their front doors. In 2009, the Massachusettes Attorney General office exposed unprofessional behavior by a number of ACORN employees and poor management practices. The Pittsburgh Tribune-Review also reported that the Obama campaign paid over $800,000 to an ACORN offshoot responsible for “get out and vote” programs. – Sept. 2013: Two postal workers near Philadelphia were accused of stealing customers’ credit card numbers to purchase event tickets, gift cards and other items. – Oct. 2011: A TSA agent was caught leaving sexual message in a passenger’s luggage based on the personal items he found during a search. – May 2009: Motorists began suing the city of Tenaha, Texas after police arrested them for questionable charges and promised to release them if they forfeited their property. – July 2008: President Obama proposed a “civilian national security force,” a domestic police force as well-funded as the Defense Department. 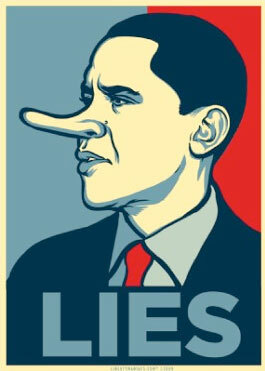 252 Documented Examples of Barack Obama’s Lying, Lawbreaking, Corruption, Cronyism, etc. The following is a contribution from Dan from Squirrel Hill. The original title of the article is “Obama supporters will go hysterical over this well sourced list of 252 examples of his lying, lawbreaking, corruption, cronyism, etc.” it’s lengthy, but is a ‘one-stop shop’ for all the dirty details on the Obama presidency. Every claim that I make in this list is sourced. Click on the blue text to see the sources. I have cited a wide variety of sources, from right wing, to left wing, to middle of the road. I welcome any comments and criticisms that you may have. If you say my list is wrong, please back up your claim by citing specific examples. In June 2011, U.S. Congressman Dennis Kucinich (D-Ohio) said that Obama had violated the Constitution when he launched military operations in Libya without Congressional approval. In May 2010, it was reported that the Obama administration had selected KBR, a former subsidiary of Halliburton, for a no-bid contract worth as much as $568 million through 2011, just hours after the Justice Department had said it would pursue a lawsuit accusing the Houston-based company of using kickbacks to get foreign contracts. While running for President, Obama had promised that, unlike Bush, he would not have any lobbyists working in his administration. However, by February 2010, he had more than 40 lobbyists working in his administration. Although Obama claims to support the Occupy Wall St. movement, the truth is that he has raised more money from Wall St. than any other candidate during the last 20 years. In early 2012, Obama held a fundraiser where Wall St. investment bankers and hedge fund managers each paid $35,800 to attend. In October 2011, Obama hired Broderick Johnson, a longtime Wall Street lobbyist, to be his new senior campaign adviser. Johnson had worked as a lobbyist for JP Morgan Chase, Bank of America, Fannie Mae, Comcast, Microsoft, and the oil industry. Obama broke his promise to close Guantanamo Bay. While Senator, Obama voted for the $700 billion TARP bank bailout bill. The bailout rewarded irresponsible and illegal behavior. It redirected resources from more productive uses to less productive uses. It punished the hard working taxpayers who had played by the rules and obeyed the law. It created horrible incentives, and sent the wrong message. The bailout was evil because it rewarded the bad people and punished the good people. No society that does this can expect to remain free or prosperous. Instead of bailing out these corrupt corporations, we should have let them cease to exist, like we did with Enron. However, in February 2010, DEA agents raided a medical marijuana grower in Highlands Ranch in Colorado, a state where medical marijuana is legal. Also in February 2010, DEA agents raided a medical marijuana dispensary in Culver City in California, a state where medical marijuana is legal. In July 2010, the DEA raided at least four medical marijuana growers in San Diego, California. Also in July 2010, the DEA raided a medical marijuana facility in Covelo, California. Then in September 2010, the DEA conducted raids on at least five medical marijuana dispensaries in Las Vegas, Nevada, where medical marijuana is legal. In 2011, the DEA conducted raids on medical marijuana in Seattle, Washington, West Hollywood, California, and Helena, Montana, all places where it is legal. In April 2012, the DEA carried out several raids on medical marijuana in Oakland, California. In July 2012, federal prosecutors filed civil forfeiture actions against Harborside Health Center, a medical marijuana dispensary in Oakland, CA, which claims to be the world’s largest, and which claims to serve more than 100,000 medical marijuana patients. In April 2012, federal agents raided Oaksterdam University, an educational institution in Oakland, CA, which teaches people about medical marijuana. In April 2012, federal agents raided a medical marijuana facility which had been serving 1,500 patients near Lake Elsinore, CA. In June 2012, the Obama administration filed asset-forfeiture lawsuits against two landlords who rented their buildings to medical marijuana stores in Santa Fe Springs, CA. The Obama administration also sent warning letters which threatened similar legal action to dozens of other, nearby landlords. During the first seven months of 2012, the DEA shut down40 medical marijuana dispensaries in Colorado, all of which had been operating in compliance with state and local law. In July 2013, the DEA conducted multiple medical marijuana raids in Washington state, including the cities of Olympia, Tacoma, and Seattle. In May 2012, ABC News reported that during Obama’s youth, he often smoked large quantities of recreational marijuana. Obama’s marijuana smoking wasn’t even medical – it was recreational. And yet now, he is taking large scale, widespread action to prevent people with AIDS, cancer, multiple sclerosis, glaucoma, and other illnesses, who have prescriptions from their doctors, from using their prescription medicine – how cold hearted can a person be? Obama nominated Timothy Geithner, a repeat tax cheater, to head the government agency that enforces the tax laws. 2) Illegally declared the cost of his children’s summer camp as a form of day care. Obama expanded the federal government’s faith based programs which had been started by President George W. Bush. In May 2011, Obama signed a renewal of the Patriot Act. The national debt increased more during Obama’s first three years and two months than it did during all eight years of George W. Bush’s presidency. In December 2011, ACLU executive director Anthony D. Romero criticized Obama for signing a bill that gave the U.S. government the power toindefinitely detain U.S. citizens without any charges being filed or any trial taking place. President Obama has defended warrantless wiretapping. Although Obama had promised to prosecute Wall St. criminals, during his entire first term, his administration did not file any criminal charges against any of the top financial executives. Obama had four U.S. citizens killed without judicial process. The ACLU accused Obama of violating the U.S. Constitution for doing this. U.S. Congressman Ron Paul (R-TX) said that Obama’s actions might be an impeachable offense. In 2011, after Boeing had hired 1,000 new employees to work at its new factory in South Carolina, the Obama administration ordered Boeing to shut down the factory, because the factory was non-union. In 2010, Obama supported releasing Lockerbie bomber Abdel Baset al-Megrahi (who had been convicted of murdering 270 people) from prison. In Operation Fast and Furious, the Obama administration ordered gun storeowners to illegally sell thousands of guns to criminals. In June 2009, Obama fired Inspector General Gerald Walpin, after Walpin accused Sacramento mayor Kevin Johnson, an Obama supporter, of misuse of AmeriCorps funding to pay for school-board political activities. In a letter to Congress, the White House said that Walpin was fired because he was “confused, disoriented, unable to answer questions and exhibited other behavior that led the Board to question his capacity to serve.” A bipartisan group of 145 current and former public officials, attorneys, and legal scholars signed a letter that was sent to the White House, which defended Walpin, said the criticisms of him were not true, and said that his firing was politically motivated. The letter can be read here. Although Obama had made a campaign promise to have all of the health care reform negotiations broadcast on C-SPAN, he broke that promise after he was elected. However, after Obamacare was passed, the Congressional Budget Office said that the law would cause seven million people to lose their employer provided insurance. Also, after Obamacare was passed, the Franciscan University of Steubenville dropped its coverage in response to the law. Universal Orlando dropped its coverage for part time employees in response to Obamacare. Furthermore, it was reported that Obamacare would cause 58,000 Aetna and UnitedHealth Group customers in California to lose their insurance. In response to Obamacare, some employers have dropped coverage for their employees’ spouses. The chain of Wegmans supermarkets cancelled the policies of its part time employees in response to Obamacare. However, after Obama signed it, the Washington Post reported that it would add more than $340 billion to the budget deficit over the next decade. In March 2012, the Congressional Budget Office said that over the next decade, Obamacare would cost twice as much as what Obama had promised. In May 2013, it was reported that Obamacare’s program for high risk patients was more expensive than what Obama had promised. In 2009 the Obama administration gave $535 million to Solyndra, claiming that it would create 4,000 new jobs. However, instead of creating those 4,000 new jobs, the company went bankrupt. It was later revealed that the company’s shareholders and executives had made substantial donations to Obama’s campaign, that the company had spent a large sum of money onlobbying, and that Solyndra executives had had many meetings with White House officials. It was also revealed that the Obama administration had already been aware of Solyndra’s financial troubles. For example, according to the company’s security filings in 2009, the company had been selling its product for less than the cost of production. In 2010, Obama visited the Solyndra factory and cited it as a role model for his stimulus program, saying “It’s here that companies like Solyndra are leading the way toward a brighter and more prosperous future.” The Washington Post wrote of this, “Administration officials and outside advisers warned that President Obama should consider dropping plans to visit a solar startup company in 2010 because its mounting financial problems might ultimately embarrass the White House.” Solyndra was a private company, but had been planning to use its government loans as a means of going public – so when Obama knowingly overstated the company’s condition in order to help his friends at Solyndra, he broke the same law that Martha Stewart had been sent to prison for breaking. In September 2011, federal agents visited the homes of Brian Harrison, the company’s CEO, and Chris Gronet, the company’s founder, to examine computer files and documents. Also in September 2011, the U.S. Treasury Department launched an investigation. On September 13, 2011, the Washington Post reported on emails which showed that the Obama administration had tried to rush federal reviewers to approve the loan so Vice President Joe Biden could announce it at a September 2009 groundbreaking for the company’s factory. The company was a hallmark of President Obama’s plan to support clean energy technologies. The New York Times reported that government auditors and industry analysts had faulted the Obama administration for failing to properly evaluate the company’s business proposals, as well as for failing to take note of troubling signs which were already evident. In addition, Frank Rusco, a program director at the Government Accountability Office, had found that the preliminary loan approval had been granted before officials had completed the legally mandated evaluations of the company. On September 29, 2011, the Washington Post reported that the Obama administration had continued to allow Solyndra to receive taxpayer money even after it had defaulted on its $535 million loan. On October 7, 2011, The Washington Post reported that newly revealed emails showed that Energy Department officials had been warned that their plan to help Solyndra by restructuring the loan might be illegal, and should be cleared with the Justice Department first. However, Energy Department officials moved ahead with the restructuring anyway, with a new deal that would repay company investors before taxpayers if the company were to default. The emails showed concerns within the Obama administration about the legality of the Energy Department’s actions. In addition, an Energy Department stimulus adviser, Steve Spinner, had pushed for the loan, despite having recused himself because his wife’s law firm had done work for the company. In April 2012, CBS News reported that Solyndra had left a substantial amount of toxic waste at its abandoned facility in Milpitas, California. Solyndra was not the only “green energy” company involved in this type of fraud. After Obama gave Raser Technologies $33 million to build a power plant, the company declared bankruptcy, and owed $1.5 million in back taxes. After Obama gave Abound Solar, Inc. a $400 million loan guarantee to build photovoltaic panel factories, the company halted production and laid off 180 employees. After Obama gave Beacon Power a $43 million loan guarantee to build green energy storage, the company filed for bankruptcy. After Obama approved $2.1 billion in loan guarantees for Solar Trust of America so it could build solar power plants, the company filed for bankruptcy. Although Obama stated that all of the “green energy” companies that received taxpayer money were chosen “based solely on their merits,” the truth is that 71% of these grants and loans went to Obama donors and fundraisers, who raised $457,834 for his campaign, and were later approved for grants and loans totaling more than $11 billion. By November 2011, the Energy Department’s inspector general had begun more than 100 criminal investigations related to Obama’s stimulus. Although an “independent” review said that Obama had not done anything wrong, it was later reported that Herbert M. Allison Jr., the person who had conducted this “independent” review, donated $52,500 to Obama’s campaign. Radio host Mark Levin’s new book, The Liberty Amendments: Restoring the American Republic, is one of the most focused, accessible, and aggressive political books you’ll ever find. Levin’s thesis is that the balance of power between the three branches of the federal government, the states, and the American people has been distorted beyond the ability of conventional politics to repair. After all, if the power of the legislature has been diminished relative to the executive, the executive has dispersed its disproportionate power into unelected bureaucracies, and the states are increasingly powerless vassals of Washington, then there is no way for the peoples’ representatives in Congress or state houses to draft laws that would correct the situation. The entire point of this century-long quest to centralize power was to remove it from the clumsy hands of foolish American citizens. We are spectators to a game show in Washington. We might be able to vote a few of the contestants off the show, but we have no control over the rules of the game. A Constitutional reset is necessary because the progressive project is a cascade of lost freedoms, designed so that each step is irreversible, and every inch of ground taken by the State is claimed forever. The distribution of power to unelected bureaucrats is a key element of this process. One of the Liberty Amendments “sunsets” all federal departments and agencies, unless Congress reauthorizes them every three years by majority vote. Every big-ticket Executive Branch regulation would be subjected to review by a joint congressional committee. This amendment would pull the plug on the unstoppable federal bureaucracy, forcing every department to perpetually justify its existence, and terminating President Obama’s beloved practice of circumventing Congress to legislate by decree. Another Liberty Amendment likewise reins in the judicial branch, setting term limits for Supreme Court justices, and giving Congress the power to override Supreme Court opinions with a three-fifths vote, without risk of presidential veto. Three-fifths of the state legislatures can also join forces to knock down a Court decision. That’s a recurring theme of the Liberty Amendments: the restoration of both congressional and state power. As Levin repeatedly reminds us, nothing worried the Founders more than the rise of a despotic national executive, such as the one we have now. The original states never would have signed on to a federal government that turned them into puppets. There were strong logical arguments against these outcomes, which power-hungry progressives understood quite well, back when they first set about overturning the Constitutional order. Modern progressives don’t think they need to understand those arguments any more, because the foundation of the total State has been laid, and the clock can never be “turned back,” as one of their favorite slogans has it. This should leave them at a severe intellectual disadvantage, if the Liberty Amendments become a topic of national debate. Some of Levin’s proposed amendments are intended to clarify language that already exists in the Constitution, such as the much-abused Commerce Clause – lately interpreted as a warrant for unlimited federal control of all human activity, although the Founders most certainly did not intend it to be taken that way. Our language has changed over the centuries, always in a way that expands the Left’s desire for centralized control. The authors of the Constitution would find our current understanding of the word “commerce” to be utterly deranged – indeed, they might even ask what the point of their Revolution was, if “interstate commerce” was to become a writ for powers beyond the wildest dreams of daft old King George. Two of the proposed Liberty Amendments are devastating blows against imperial federal power, making it easier for states to amend the Constitution, and giving them a brief window of opportunity to strike down both congressional legislation and Executive Branch legislation. Levin also makes a compelling argument against the Seventeenth Amendment, which provided for the direct election of United States senators. Senators were supposed to be instruments of the state legislatures, while the House of Representatives would be filled by popular vote. I have never read a better explanation for why this was important, and how it gave state governments a vitally needed hand in the crafting of federal legislation. I’ve also seen no better case made for term limits on Congress, as Levin astutely points out that not only do Jurassic representatives-for-life distort the distribution of power in Congress, but they invest a great deal of our national energy (and funding!) in maintaining their 85-percent-plus re-election rate. Surely some of those “safe” districts would merely replace Retiring Party Drone A with New Party Drone B, but as it stands, far too many representatives discover they can most easily secure lifetime tenure by representing the Leviathan State instead of their constituents, tapping the federal treasury to purchase reliable voters. The reason all of these goals must be accomplished through Constitutional amendment is that any other instrument of legislation or representation can be twisted to the purposes of the central State. Levin makes an irrefutable case that we long ago passed the point of no return for reforming our bloated, degenerate, dying federal government by winning a few elections. The people who rigged this system made certain to armor it against future dissent from unhappy voters – one man, one vote, one time, every step of the way, with each new progressive “achievement” promptly declared more immutable than the tattered old scrap of parchment kept under glass at the National Archives. Having studied the provisions for a Constitutional convention, Levin is convinced that the high bar for state ratification of any proposed amendments will keep it from becoming a carnival of kooks. The kooks are winning anyway. What could they get by amending the Constitution that our eternal bureaucracy and despotic executive branch aren’t giving them, one lost liberty at a time? If you want to bring the ship of state into drydock, instead of slightly adjusting its course, The Liberty Amendments provides an excellent set of schematics. Levin’s strategy is the only way for the American people to have a say on all the things we’ve been told we don’t get to vote on any more. Reading this book will help you appreciate the terrible magnitude of what we have lost, and the intractable nature of an arrogant system that dictates to us instead of representing us, appropriating the language of “democracy” to dignify what really amounts to quelling dissent against whatever the ruling class wants to do next. And if you’re not already a Constitutional scholar of Mark Levin’s caliber, you might be surprised to learn just how accurately the supposedly out-of-touch and obsolete Founders predicted everything happening today. Why, reading Chapter Eight of The Liberty Amendments, you’d think John Adams was taking daily delivery of the New York Times through a time warp. I suspect he and his peers would have little argument with Levin’s recommendations. Retired Congressman Ron Paul went on CNN and pointed out something rarely mentioned by the establishment media – Obamacare is the brainchild of the insurance and pharmaceutical industries. Last December, ace investigative journalist Glenn Greenwald posted a piece at The Guardian giving the low-down on Obama’s healthcare law. Greenwald pointed to senior Democrat Senator Max Baucus and his aide, Elizabeth Fowler, as the driving force behind Obamacare, the government-enforced boondoggle minus a public option salivated over by blindsided socialists far and wide. “Competition is a sin,” quipped John D. Rockefeller, a maxim as relevant to corporate mammoths like Wellpoint – the largest managed health care, for-profit company in the Blue Cross and Blue Shield Association – as it was in Rockefeller’s day. 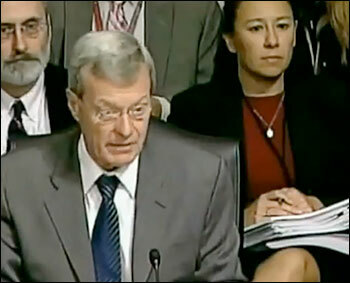 Senator Max Baucus and his aide, Elizabeth Fowler. The so-called public option, the idea that the government will create its own health insurance agency to compete with corporate leviathans, was never a serious consideration and was indeed anathema. It was a ploy crafted to trick persistently gullible Democrats into supporting yet another corporate swindle, this time enforced by the most violent and ruthless player on the block, the federal government. After Obamacare was rammed through Congress, Baucus, one of the biggest recipients in Congress of campaign cash from the healthcare industry, boasted about the architect of the legislation, Liz Fowler. Modifilan is a natural dietary supplement that not only detoxifies the body from heavy metals and radioactive elements, it also provides natural iodine that nourishes the thyroid. Finally, Baucus admitted earlier this year that Obamacare will result in a train wreck. Not because it is a corporate boondoggle enforced at gunpoint, but because, thanks to opponents of the legislation (which Baucus never bothered to read) and widespread criticism, primarily in the alternative media, millions of Americans oppose the scheme. “The American public is left to ponder if this would be happening if Senator Baucus didn’t consider reading the bill he was adamantly advocating as a waste of time,” writes Shoshana Weissmann. In fact, it wouldn’t have made a lick of difference because Baucus, and the rest of Congress, are in the pocket of the bankers and corporations. They are grocery clerks for the corporate state, that is to say the fascist state, as Mussolini characterized all such arrangements. A six-person jury consisting of women has found George Zimmerman not guilty of murdering Trayvon Martin after deliberating for more than 16 hours. The jurors reached the verdict despite an eleventh-hour effort by life-long Democrat Judge Debra Nelson on Thursday to expand the possible outcome to include a second-degree murder and manslaughter. The jury decided Zimmerman didn’t “intentionally commit an act or acts that caused death” or demonstrate a “depraved mind without regard for human life,” definitions for manslaughter and second degree murder in Florida. The verdict is a victory for the concept of self-defense and specifically Florida’s “stand your ground” law. Supporters of Trayvon Martin have threatened to riot in Florida and around the country if Zimmerman was found not guilty. “Supporters of Trayvon Martin are threatening to stage riots and looting if George Zimmerman escapes a conviction, with scores of Twitter users taking to the social network to promise chaos and violence in major cities across the United States,” we reported on July 2. On June 28, a story Infowars.com posted on the prospect of violent riots went viral on the internet. Political Strategist Charles D. Ellison also warned that, “There is the risk of a flashpoint as intense as the aftermath of that fateful Los Angeles police brutality verdict in 1992,” if Zimmerman escapes a conviction. As recently as Friday, a fresh wave of ugly tweets promised violence if Zimmerman was found innocent. Ever since President Barack Obama personally inserted himself into the controversy by declaring Trayvon Martin to be akin to the son he never had, higher-ups have constantly meddled in the case in an effort to secure a murder charge for a scenario that Zimmerman would not normally have evenbeen arrested for under Florida’s Stand Your Ground law. Officials with several Colorado counties interested in forming a 51st state scheduled a public meeting for Monday afternoon. The meeting is being held at the Akron Fairgrounds at 551 East Second Street at 2 p.m. The public can attend the meeting, but will not have the opportunity to participate. Weld County Commissioners told the Greeley Tribune they will also meet with leaders from counties in western Nebraska and Kansas, which have expressed interest in joining the effort. Officials planned to consider how the boundaries of such a state would look and whether it’s feasible, Weld County Commissioner Doug Rademacher told the Tribune. When they announced their proposal earlier this month, Weld commissioners said they felt agriculture and oil and gas are under attack in the State Legislature, and the needs of rural Colorado counties are being ignored. Rademacher told the Tribune if the proposal makes it to the November ballot, he expects voters to approve the creation of a new state by at least a 60 percent margin. In spite of support for the idea, Rademacher said he doesn’t expect it to actually happen. Under guidelines in the U.S. Constitution, North Colorado would have to get the consent of the Colorado General Assembly and the U.S. Congress to move forward with forming its own state.